Thirteen SCAIR urban tribal TANF students wrapped up a successful continuing education class by taking written tests and receiving their official San Diego County Foodhandler's Card. 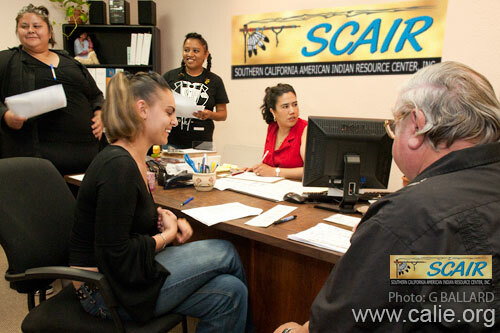 Southern California American Indian Resource Center, Inc., SCAIR, Family Education Specialist Cristina Rosado (in red blouse) hosted the event. 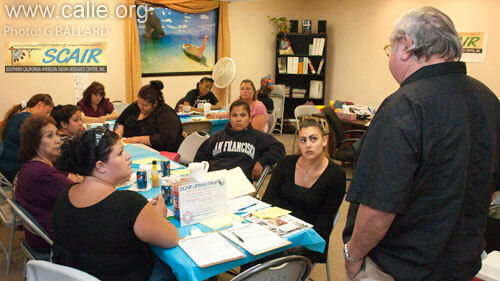 Len Krall of A-1 Food Services taught the SCAIR Urban TANF classes on May 12th and 13th, 2009. 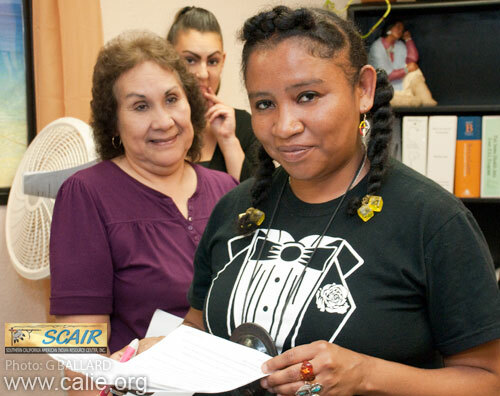 The job preparation classes were held at the SCAIR Family Learning Center, 2218 Alpine Blvd., Alpine, California, and the SCAIR Family Learning Center, 4265 Fairmont Ave., San Diego. 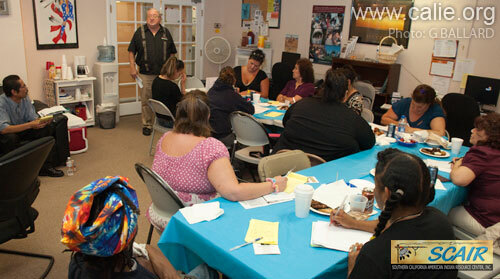 Refreshments and training were provided www.CALIE.org. RETURN to CALIE CONTINUING EDUCATION.